American made in North Carolina for solid rock installation. Pre-drilled hole may be required. 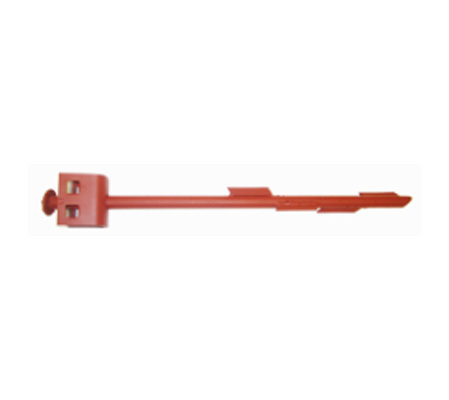 Once the 24″ anchor shaft is hammered in the pre-drilled hole, sharp barbs welded on side of rod prevents extraction. Double swivel head to accept double bolts. Painted red. Bolts not included. 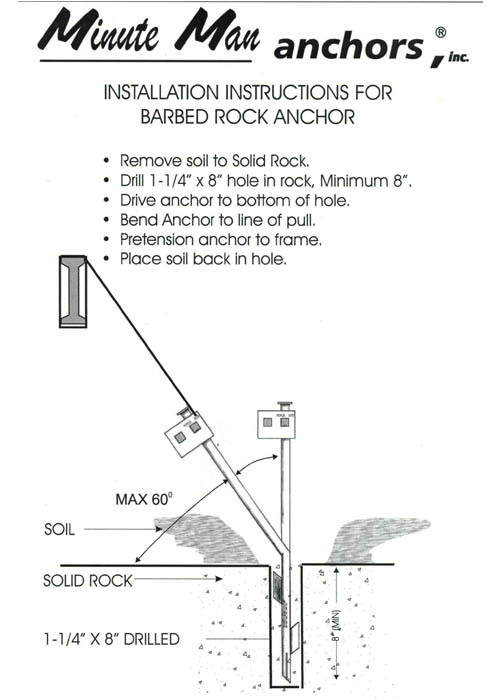 The number and type of anchor required for your home will very depending on what state, wind zone and local regulations apply. Before you order, inquire about what your local inspection department requires for your area. American Mobile Home Supply has all engineering data and approvals on file. Call or e-mail for installation instructions and approval codes for your State and location. For installation in solid rock conditions only.